While baseball fans are known for their passion and fervor, violence is not something they are regularly submitted to during the course of a game. However, on Saturday night at Turner Field in Atlanta, Georgia, fans were exposed to an unfortunate and bloody accident that many of them will likely never forget. 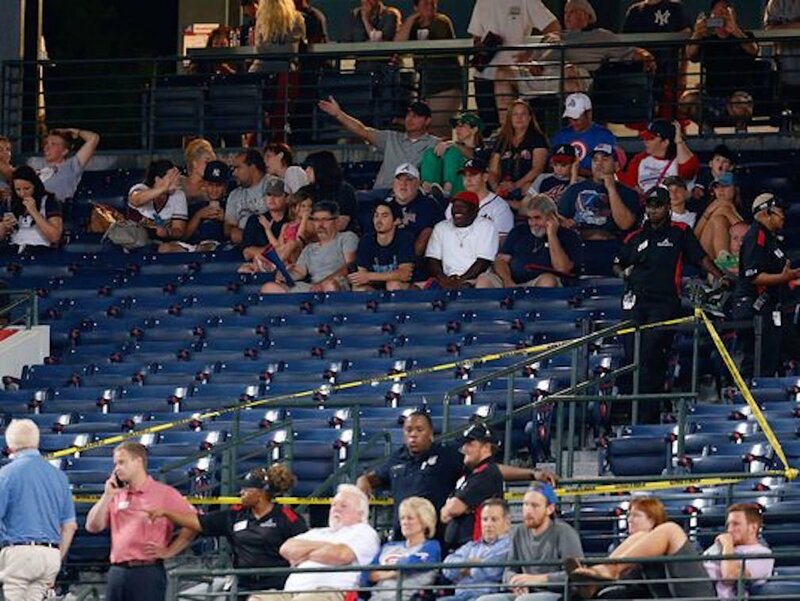 Gregory K. Murrey, a 60 year-old Braves fan and native of Alpharetta, GA, fell from the upper seating deck of Turner Field and died during the Braves-Yankees game. Witnesses say that Murrey was shouting at the field when Alex Rodriguez was called in as a pinch hitter; it was then that he lost his balance and went over the waist-high railing, falling about 50 feet and hitting the wire that held up the protective netting behind home plate before landing on the concrete stairs that separated the seating areas at field level. Investigators at the Atlanta Police Department believe the incident was an accident and had not malicious intent behind it. Thankfully, no one else was hurt at the scene.